LightFlex LED supports ones’ natural circadian rhythm by providing access to natural light throughout the day - while maintaining your desired light levels. Ideal for interior classrooms, offices and conference rooms with no window access. For added energy savings, the embedded daylighting sensor detects the natural light and triggers lighting controls to adjust and supplement daylight, only when electric light is needed. Integrated nLight® controls enable the system to adjust, supplement, and maximize natural light and tunable-white LEDs. Whether automated or manual, the result is an adaptable, fully-responsive visual environment. 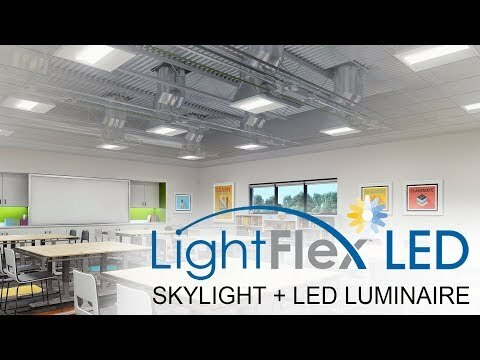 Click here for everything LightFlex LED! Listings: HVHZ Approved. FM Approved. AAMA Certified. NFRC Certified.